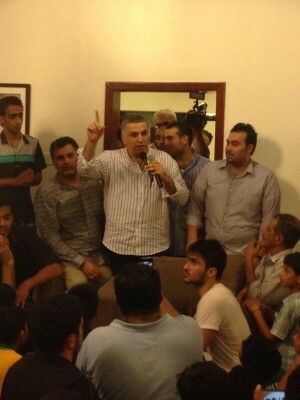 Prominent human rights activist Nabeel Rajab was released from a Bahraini prison on Saturday, having completed a two-year sentence for criticism of the regime on social media and for “organizing illegal gatherings”. 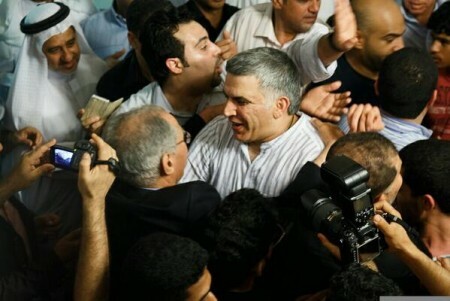 Rajab, the head of the Bahrain Center for Human Rights, was arrested on several occasions before he was detained for good in July 2012. 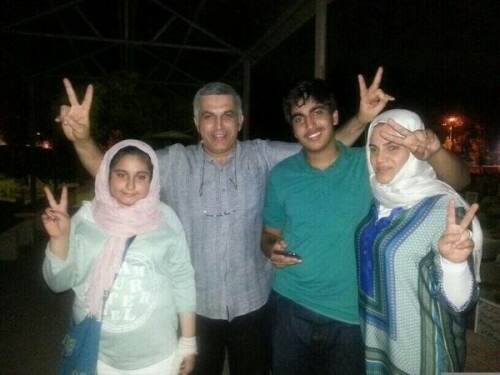 It is important to note that Rajab is not being released as a gesture of goodwill, but rather because he served the full length of his arbitrary detention sentence… During his detention, he faced dire conditions and was subjected to ill-treatment and torture. “His release comes at a time when thousands of others continue to be imprisoned and targeted on trumped up charges. 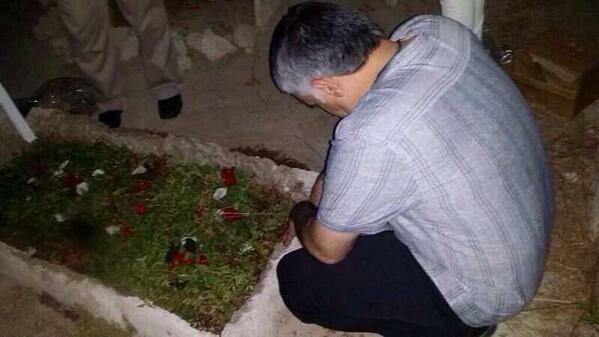 Rajab met supporters in the capital Manama and visited his mother’s grave before returning home on Saturday. During Rajab’s imprisonment, joining other human rights activists like Abdulhadi Alkhawaja, the opposition has faced difficulties in sustaining non-violent protests — launched in February 2011 — for reforms and rights. I am very sad to see violence, I don’t think it will ever be a solution, but (our) ability to control or to keep masses peaceful is limited because of the pervasive violence against them by the regime. The same is the case with the opposition — they can’t either. The deadlock and the continued oppression by the government is creating this violence and I’m afraid that this violence could increase in the face of oppression and silence by the international community. Let’s make one thing clear, all is in the hands of the government. All we can do is create pressure locally and internationally. all the tools are in the hands of the government — the army, police and all institutions.